After the usual empty promises made at the annual conferences of the three main political parties - all three party leaders swore that only their party can save the National Heath Service (NHS) eternally a key isue in UK politics, we decided it was time our we too a close look at why NHS finances are always in a mess. We assigned the task to our team of old gits with a vast store of business experience behind them and no fears of suffering career damage as the Politically Correct Thought Police exact retribution for the crime of being 'off message'. Just a couple of days ago over on Boggart Blog we highlighted several ways in which NHS Purchasing Officers manage to spend on very mundane items many times the price the same thing could be bought for commercially. 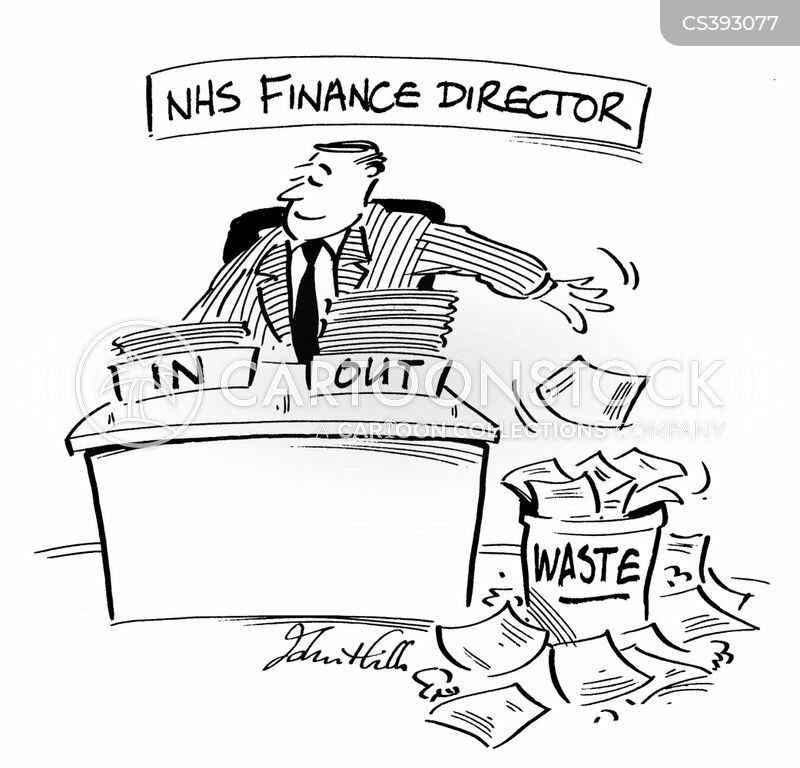 It is not just computrs and wheechairs that NHS managers waste money on however, not does the financial insanity stop at making managers redundant and hiring them, at several times their previous salary, as consultants a few months later. The problem is that while everybody, from politicians to the lowest of low information voters amongst us is aware the NHS wastes £££billions every years, nobody wants to talk about the real reason why. Although we never cease to hear about how cash-strapped Hospital Trusts or NHS Departments are, there is one pot of money that is ring fenced and protected from government austerity measures and local managers attempts to balance the books. This is the pile of cash set aside to cover the cost of the NHS ‘market'. Administering the hugely expensive artificial ‘internat marketplace’ created by successive governments, supposedly to enable NHS and private ‘providers’ to compete for the contract to provide services to NHS 'customers'. Dr Jacky Davis and other doctors and campaigners and supporters of The National Health Action Party estimate the total cost of this fiasco which does nothing other than creat jobs for bureaucrats in the Health Service at £10billion a year. In 2010 the Government Health Select Committee found that running the NHS as a ‘market’ consumed 14% of it’s budget every year. The Select Committee acknowledged that there would bee some administrative expenses even if the service did not keep up the pretence that there is a 'market' in providing healthcare services. They cited however evidence from the NHS Historian, Professor Charles Webster that in the pre-market days of the late 1980s, the NHS spent only 5% of its budget on administration. This nine per cent of total budget difference in administration costs is nearly £11 billion a year of the current £120bn budget. That’s more than the entire cost of every family doctor in the nation. So for all the self pitying bleatings of doctors and nurses leaders and public service union representatives, if the whole bunch of them were not willing to go along with this job creation scheme for pen pushers and bean counters, we would not be nearly as short of doctors, nurses and state of the art equipment as NHS leaders claim we are. NHS spening cutsThe labour government made a huge error in placing targets and statistics ahead of patient care in the NHS. Nurses complained they were spending more time bean counting than they were on patient care. Now Labour are screaming about the coalition's proposed cuts in NHS budgets. But the cuts will reduce numbers of managers and administrators, not nurses and front line staff. For 80 years antibiotics have helped us to fight disease. But bacteria are growing resistant – so it's time we stopped treating winter colds with such a powerful weapon as antibiotics. Much as we might all like a cure for the common cold, there's a much more worrying problem looming when it comes to infections and our ability to fight them off. Microbiologists have likened this impending crisis in healthcare to climate change. Antibiotics are becoming less effective, and quickly. It is fortunate that we still have some honourable members of parliament who understand that their duty is to the voters who elect them and not to the money grubbing managers of the corrupt and discredited political parties that sponsor their candidacy or the fascist corportations whose money corupted politics and perverted the democratic system. Another of those 'We Told You So' posts as once again the criminality and fascism of Big Pharma comes under the microscope. This time we link to a post that shows how Big Pharma prevent afforadble drugs and pharmaceuticals being used in pooor nations.